On November 11th, advocacy anchor Lou Dobbs announced on his final program that he would be leaving CNN. In his broadcast, he recognizes his esteemed colleagues and support that the network has given him. CNN was the “world’s first news network,” according to Dobbs, who was one of the original anchormen 30 years ago, where he began acting as chief economics correspondent and host of “Moneyline.” CNN President Johnathan Klein agreed to release Dobbs from his contract, and called him “a valued founding member of the CNN family.” Dobbs continued on the show by saying, “Over the past six months it’s become increasingly clear that strong winds of change have begun buffeting this country and affecting all of us, and some leaders in media, politics and business have been urging me to go beyond the role here at CNN and to engage in constructive problem solving as well as to contribute positively to the great understanding of the issues of our day.” He has aspirations to engage in dialogue and help resolve a wide variety of issues, including health care, immigration policy, climate change, and the wars in Afghanistan and Iraq, which he wants to put an end to the partisanship behind these ideals, and try to come together to realistic, comprehensive solutions to these issues. Dobbs went on to point out the current flaws in our capitalist economy and the supposed “true lack of representation” at the capital. His accolades include the George Foster Peabody Award for excellence in broadcasting in 1987, and the Emmy for Lifetime Achievement that he received in 2005. He temporarily left the network to start a Web site related to space topics. He then returned to CNN as an anchor and managing editor of Lou Dobbs Tonight and for CNN/U.S. Dobbs says he will continue as anchor of The Lou Dobbs Show, a daily radio show that began in March 2008 and is distributed to more than 160 stations nationwide by United Stations Radio Networks Inc. While the rest of the media ignores the most recent developments in the debunking of global warming theory, ie. the e-mails leaked from pro-warming climatologists that suggest skeptics may be right to be even more skeptical, Americans all over the country are experiencing one helluva cold start to winter. Snow in Sacramento forecasted, the earliest snowfall ever in Houston, and arctic chills spanning the continent this December, one should rather believe that we are at the helm of a new ice age. Indeed, scientists predicted ice back in the 1970s, and, curiously, at the center of the leaked e-mails controversy, “climategate,” if you will, is the fact that most of the data indicating warming is from before the 1970s. There have been suggestion by skeptics that the global warming trend has much more to do with the political climate than the planet. Still, the issue of whether climate change is man-made or not will most likely remain a cloudy one as those scientists responsible for determining so rely heavily on money from the government. Also known as the White House crashers, Michaele and Tareq Salahi have recently made a name for themselves as they managed to successfully crash the White House dinner honoring Indian Prime Minister Manmohan Singh. The couple gained media attention after posting pictures of themselves at the dinner on the global social networking web site, Facebook. 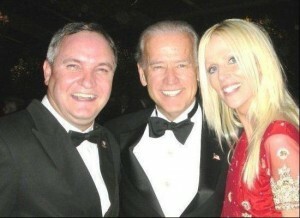 One of these pictures included the couple posing with Vice President Joe Biden. 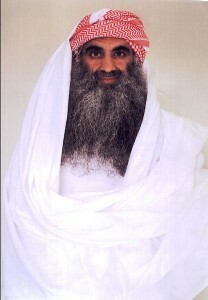 The Salahis are being considered for The Real Housewives of D.C., an upcomng reality show on Bravo. There is a criminal investigation into how the couple managed to get into the high-security White House dinner without fooling anyone. As for the chances of successful White House crashers in the future, the Secret Service should probably start executing its tasks properly. Fortunately, Obama made a decision on whether to send more troops into Afghanistan. Unfortunately, it took him months to do so. Staying in line with our former commander-in-chief, President Obama also made the unfortunate error of wavering on just what our goals in Afghanistan are and when it will be time for our troops to come home. We’re there to win a war against terrorists (even though many of them are in Pakistan now), kill bin Laden, possibly help establish a new regime, fight for civil rights, and on and on and on. The American people are no different under Obama than under Bush. 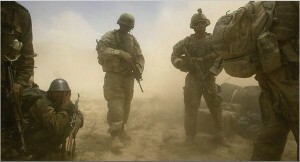 We want to know what the mission is, what our priorities are, and when our men and women will return home. Anything else is simply politics as usual, and we deserve better than that. Thank You for a Fantastic 2009! Poll: What would you be involved in at Berkeley?